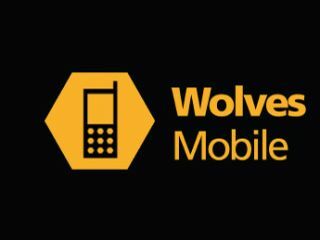 Wolverhampton Wanderers has become the first Premier League football club to launch its own mobile phone network. The press release definitely wasn't dated 1 April, so we can only assume that this is legit. It's a pay as you go only network, which promises 98.8 per cent UK coverage (it's a virtual network running on Orange), with calls and texts from 5p a go. Wolvesnet, as we're now calling it, comes with deals and offers to entice you in - you can enjoy a free ticket to Wolves v Stoke on 17 December when you buy a branded SIM card pre-loaded with £10 of credit (until they run out, which, we're sure, is a possibility as rabid Wolves fans flood the network). Yam gewin on that Wolves phowen network? Paul Lakin, Wolves' head of commercial affairs, said, "In today's climate it is essential we provide our fans with the very best products in the marketplace and I'm sure our fans will enjoy the volume of calls that can be made by purchasing Wolves mobile SIM cards." The volume of calls, yes, but don't try doing anything online - 11p per MB of data is not the world's greatest value. Wolves is following in the footsteps of a couple of European football clubs that have launched their own mobile virtual networks for fans, including Benfica and Paris Saint-Germain. Are you a Wolves fan? Will you be buying the branded SIM card? Do you think it will help Wolves to play better? How long before West Brom copies the idea? Let us know in the comments below.